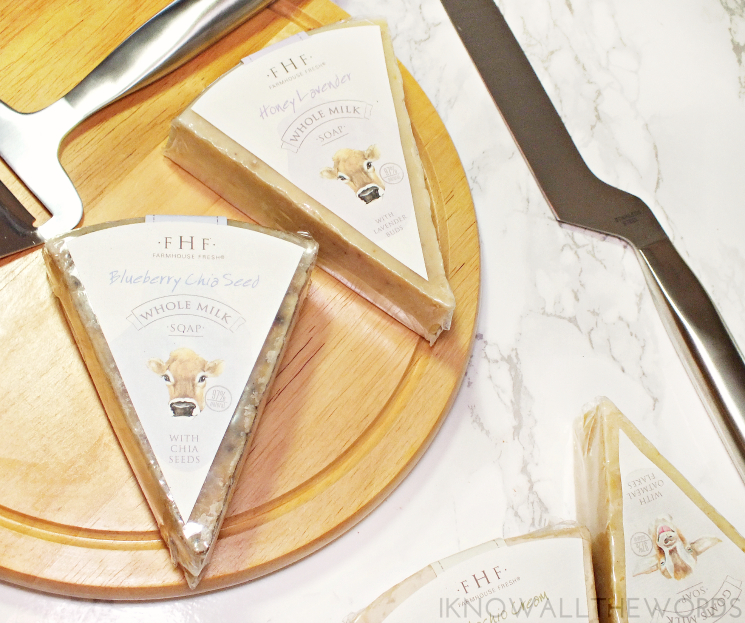 The new Farmhouse Fresh Gourmet Milk Soaps are all about fresh, local farm sourced ingredients and as such, have been charmingly crafted to resemble cheese wedges. The hand-poured, 97% natural soaps are made with ingredients sourced from US farms to literally bring a bit of the farm to your bath. 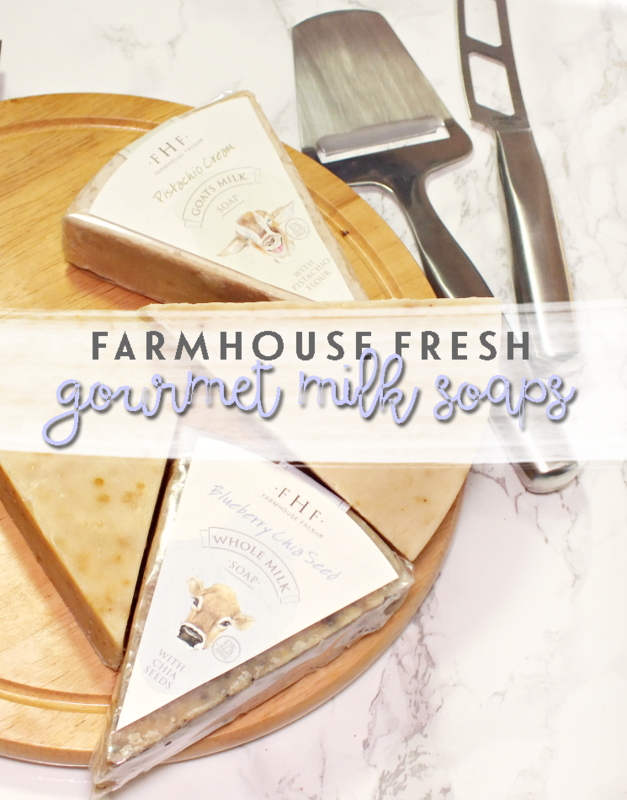 Like all Farmhouse Fresh products, these soaps are generous in size and smell incredible! I am always impressed with their products, but these soaps are quite exceptional. The bar creates a creamy lather that cleanses beautifully without leaving skin feeling stripped thanks in part to the milk and the addition of olive, coconut, and rice bran oils. Some of the bars feature ingredients that give them a bit of texture for the added benefit of light exfoliation. Added benefit! Pistachio Cream: with organic pistachio flour made with pistachios from California farms. Oatmeal Goats: with organic steel cut oats from Kansas. Blueberry Chia Seed: with fresh blueberries from Oregon. 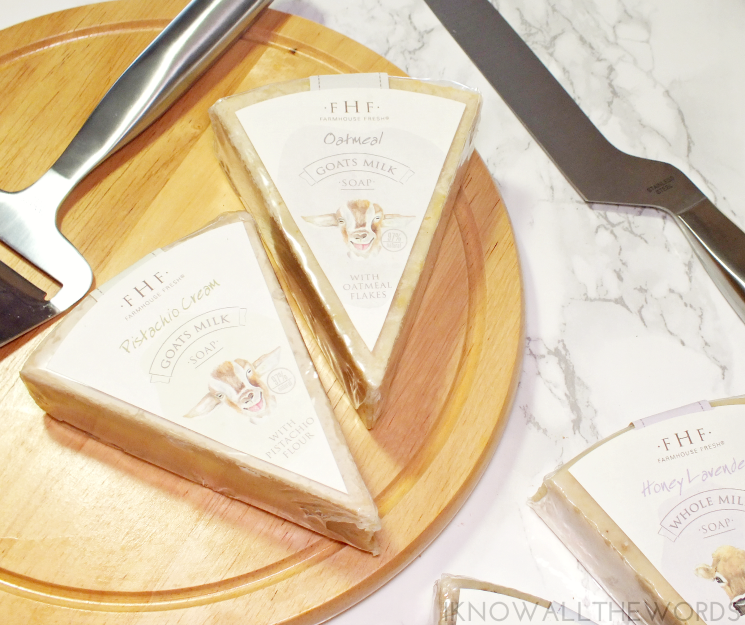 While you can't miss with any of these soaps (they smell so good!) this one happens to be my favourite as the blueberry scent is just so real with the perfect fruity sweetness. Lavender Honey: with Texas honey, and Washington lavender. Overall, some really great soaps! I love that these not only smell great, but feel great, are gentle on skin and are perfect for gifting. You can even pick them up as a set in a Wisconsin-made Aspen cheese box should you have a major sap (or Farmhouse Fresh) lover on your list as it features two bars of each soap. What do you think? 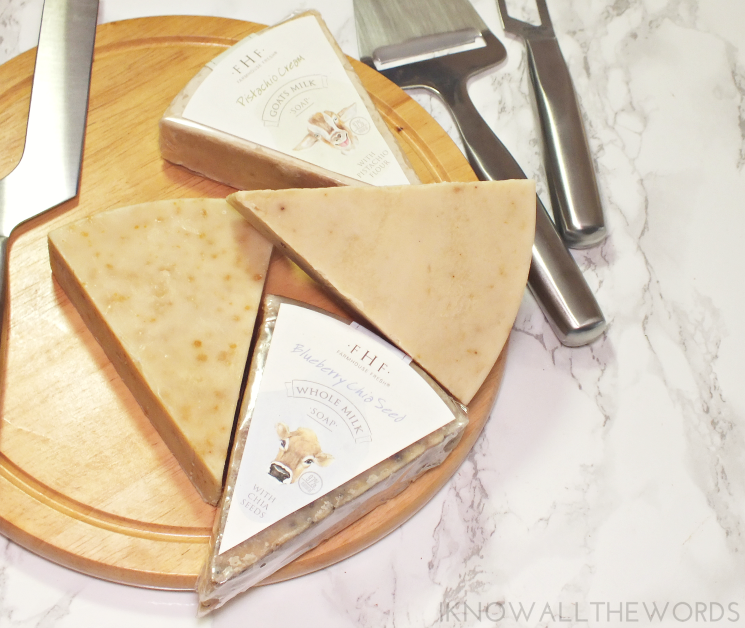 Are you a fan of bar soaps? Tried these or want to?